Charge five devices at once—at twice the speed of a regular wall charger. 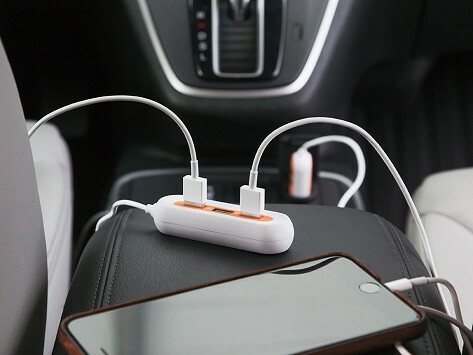 This rapid car charger caters to a car full of friends and family. Two of the ports use intelligent recognition, reading your device then charging as fast as possible from two to 2.4 amps. The remaining three charge ports power up with two amps. 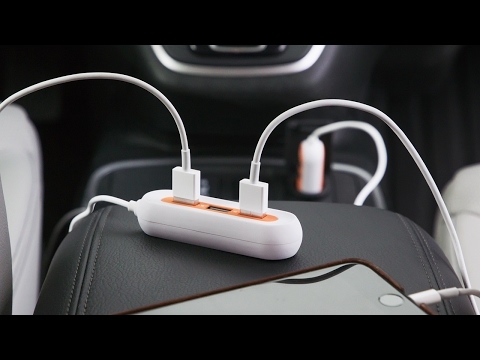 No more fighting over the phone charger in the car. Dimensions: 3.2" x 1.2" x 0.8"
I've purchased 3 of these now because they are so useful.